Whenever someone asks me what I do for a living, I have a hard time explaining that I publish an investment newsletter, operate a press release writing and distribution business, offer a service to help animal shelters to raise money and build educational training products for golfers. The various businesses that I’m involved in have almost nothing to do with each other in terms of audience and interest, but they all effectively follow the same business model. I’ve recently thought of a new way to communicate the types of businesses that I run and I thought I would share it with you today. A customer walks up to the vending machine and the vending machine has something that the customer wants (usually pop or candy). The customer puts money into the vending machine via cash or credit card. The vending machine drops the item the customer purchased into a slot and the customer takes their item and walks away satisfied. Every few weeks, an employee of the vending machine company checks in on the vending machine, refills the inventory and picks up the cash. Customers can become aware of a vending machine, identify that the vending machine has something they want and complete the transaction without a human ever being involved. Certainly there’s some up-front work for the entrepreneur that sets up the vending machine. 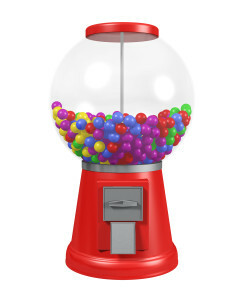 They have to find a good location, negotiate a deal with the owner of the location, purchase the equipment, place the vending machine and stock it with candy or pop. After the vending machine is setup, the business effectively runs itself. I’ve effectively replicated this business model using the Internet. I will do a lot of up-front work to identify a market need, built out a digital product or service, create an automated sales funnel to acquire new customers and setup an automated checkout and delivery system. After the product or service launches, the business will effectively run itself since all of the customer touch points happen using software and automated processes. A customer will become aware of the company by way of advertising, search engine optimization, email marketing or social media. 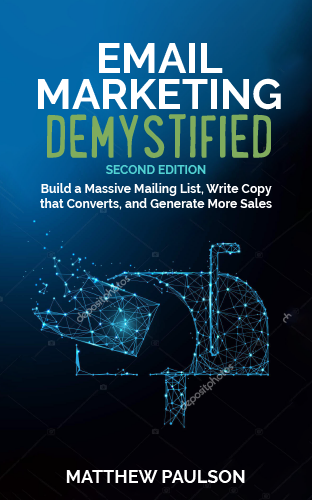 The customer will provide their email address to receive some sort of lead magnet, such as a free guide or newsletter. The customer will decide that they want to buy the digital product or service and will click through to a sales page. The customer will provide their payment information into the order form and the product or service will be delivered to them automatically using software. Every week, I receive a payment from our payment provider (Stripe) for the previous week’s purchases. Effectively, a customer can become aware of one of my products or services, decide that they want to order it, place their order and receive said product or service without me ever being involved. After a digital vending machine is setup, I just need to check on it periodically to make sure everything is running smoothly. I can also spend some time working to improve said product or service, but I don’t have to if I don’t want to. Running a “digital vending machine” business has a lot of nice benefits. First, you literally make money while you sleep. It’s pretty fun to wake up in the morning and see that I made a few hundred dollars overnight. Second, when you’re not actively working on building a new “digital vending machine” (a new business) or working to improve one of your existing products or services, there’s really not that much work to do. Finally, you have a lot of flexibility about when and where you work. If my family wants to take an 8 or 9 day vacation, it’s not that big of a deal because I can make sure I’m not working on any new projects during that time and effectively put my business on auto-pilot. I will typically work about an hour a day while on vacation to keep email manageable. There you have it. I build digital vending machines for a living. Awesome Matt! What software do you use that delivers the content? It's a custom system that I've built. Services like GumRoad do similar things though. Great post! I love the analogy. Plus, using the paradigm of the vending machine, the customer always knows what they are getting: they invest $X and receive value greater to their investment. Each side wins!